Welcome back to another episode of Benched with Bubba. 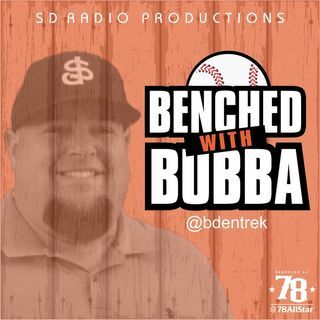 On BwB EP 152 Bubba will be joined by Derek VanRiper of RotoWire to talk about some interesting Spring Training injuries, some hot Spring Training performances, the Milwaukee Brewers and how all this matters for your Fantasy Baseball teams. As always, thanks for listening to another episode of Benched with Bubba. We'd appreciate it if you could give a rating and review on iTunes.